There are many reasons why dogs pee on bed. Any dog owner will understand this natural behavior of the dogs, but there’s a way to stop it and that is through potty training while they are still puppies. 1-Puppies don’t have the ability to hold defecation and urination for a long period of time. It’s a normal behavior of the puppies to poop and pee anywhere. 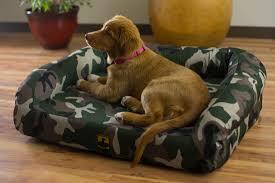 As a solution, give you puppies or dogs a grass dog potty box wherein they could defecate and urinate. Teach them that it’s the right place where they can do their toilet needs. Never feel frustrated and angry when your dog pees on bed. Instead, try to understand and know the reason why they’re doing it. Through this, you will be able to find the right solution to solve the issue. 2-Separation anxiety can also be a factor when it comes to potty issues. 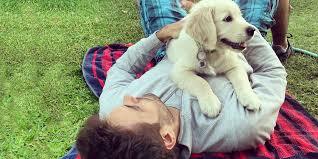 Dogs with owners who are always away from home for a long period of time also experience separation anxiety. They need the attention and love from their masters or owners. Once they feel lonely, they’ll feel the need to urinate. The first thing you should look for is the item that smells like you. It’s the place where they’ll feel much secure not know that their owners will get angry with them. 3-Give your pet dog with the toys they can play with to avoid boredom. 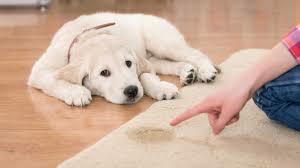 Several dogs might show destructive behaviors including chewing papers, clothes or some items in your house. This kind of behavior only shows that they calm them whenever they are experiencing separation anxiety. 4-Lack of confidence is another reason why your dog pees on bed. It happens when they’re still new in the house and searching for a place where they will feel comfort and one of the perfect places for them is your bed. Helping dogs build their self confidence and through teaching them to go outside to defecate or urinate will resolve this issue. 5-Another reason why dogs pee on their bed is due to their health. Pain when urinating can be experienced once dogs have UTI or urinary tract infection, which is also renowned as cystitis. In this case, they’ll search for soft clothing where they could urinate. Never blame your dogs once it happens, but rather bring them to your vet for the right medication and treatment. 6-Understanding the situation, patience, and knowledge are definitely required to solve your house issues about the habits of your dog. Give your dog some time to learn as learning can’t be done in just a day or two. It also doesn’t happen in an overnight process because it is a lifelong process that dogs do daily. Be patient whenever you are teaching your dogs. In addition to that, observe them daily for you to completely understanding their behaviors and habits. Understanding dogs is the best way to give them the right care they wanted and deserved.